You’re sooo in love, but sometimes jobs, bills, kids and the stresses of life just get in the way especially during the season of togetherness. We get it. And we want to make things simple this Valentine’s Day. Whether it’s you and your S.O. or group of best gals, Walton Arts Center has the perfect selection of shows so you can curate your perfect night out in February! Love tells a million stories in Falsettos. Set in the ‘80s through the early days of the AIDS crisis, the musical tells the story of a Marvin, his lover Whizzer, Marvin’s wife Trina and their extended family. Laughs are mixed in with gripping drama for an evening that pulls at the heart strings. Rap-a-tap-tap the night away to the electric moves of Dorrance Dance. Making music with their feet, this performance is cutting-edge, energizing and impeccable. Be amazed by Michelle Dorrance and her troupe of artists. Take your date night to new heights with this Canadian troupe of acrobats and musicians. Set to the timeless tunes of Johnny Cash and Patsy Cline, swing open the Saloon doors and enter the wild, wild west. In an acrobatic comedy, the cast takes audiences through thrills and circus-style feats. “We’re having a party - A Tupperware Party” with a member of the “#1 Tupperware Seller in the World” club - Dixie Longate. Educating her guests on the many alternatives used for the plastic products, Dixie will have the audience rolling with laughter, an uplifting message and a few giveaways throughout the night. Putting the PARTY in Tupperware Party, this will be a night out you do not want to miss. Michael Andrew’s performance really is “all-that-jazz” backed by a big band as he takes us through an evening of tunes from the American Songbook. Come hear the classics like Johnny Mercer, Sammy Cahn, the Gershwins and Sinatra. Known for his long-running engagement at The Rainbow Room in NYC, Michael Andrews can be the perfect soundtrack to your romantic night out. The kind of musical your S.O. 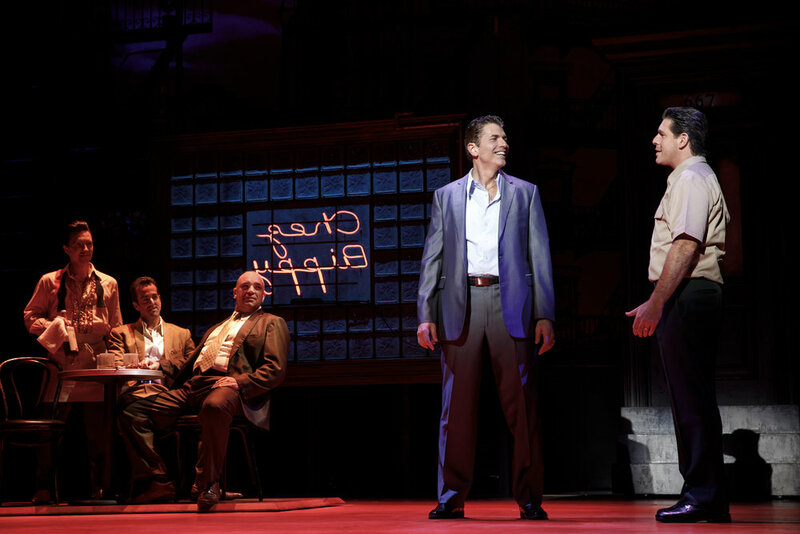 will enjoy, A Bronx Tale is a street-wise musical with heart. Enjoyed by first-time theater goers and Broadway-fanatics, this story is a timeless tale of loyalty, family and adversity. Grab a slice of pepperoni & come to the show!